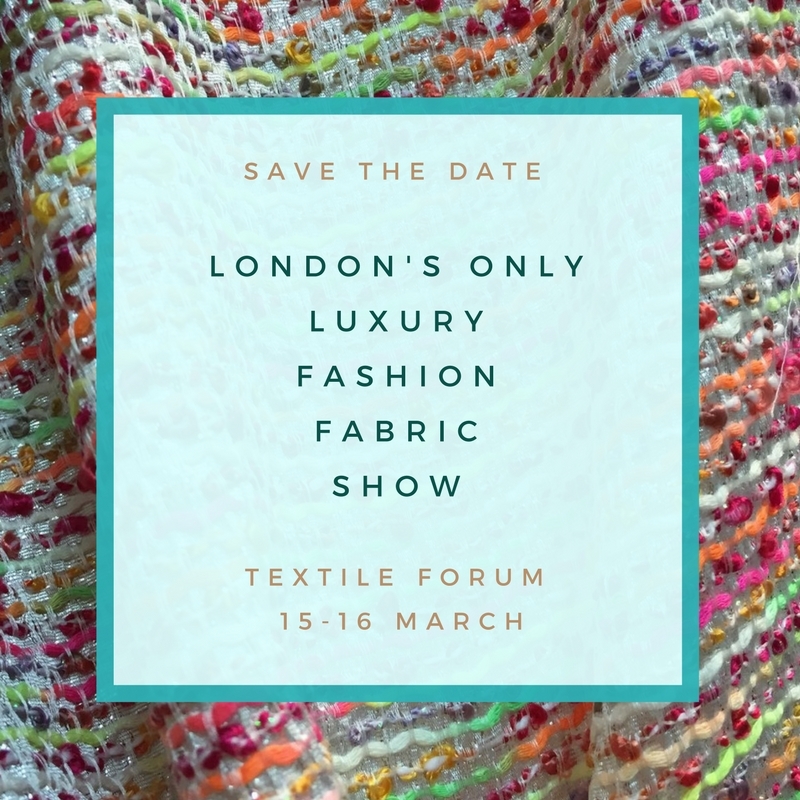 Textile Forum is celebrating its crystal – 15th year – anniversary in 2017 with its biggest spring show since the event was launched in October 2002. New exhibitors include companies from Holland, the UK and India and regular suppliers continue to expand and invest in their collections so they can increase the fabrics available from stock as well as forward order, which all translates into more than 80 collections available to buyers from 15-16 March 2017 at One Marylebone from 10am to 6pm. New exhibitors include several aimed at the bridal and special occasionwear market. Among them is Dutch company Monterossi, which will be launching its R by Rossi collection aimed at a younger market and showing it alongside it traditional collection aimed at haute couture and designers featuring high quality laces, unique embroideries, lasercut fabrics, rhinestones etc. Specialist embroiders Starsign Fabrics is also joining Textile Forum for the first time as is Exotica Exports, which offers silks, tulles and lace decorated with hand painting and hand embroidery. Among long standing exhibitors that have expanded their collections is Anbo Textiles, which has introduced a range of printed knits to complement its wovens. Other exhibitors include Holland & Sherry, Ringhart Fabrics, Solstiss, Henry Bertrand, Bernstein & Banleys, Pongees, James Hare, Laurent Garigue, Nunoya, AW Hainsworth, Michael’s Bridal Fabrics and Bennett Silks.